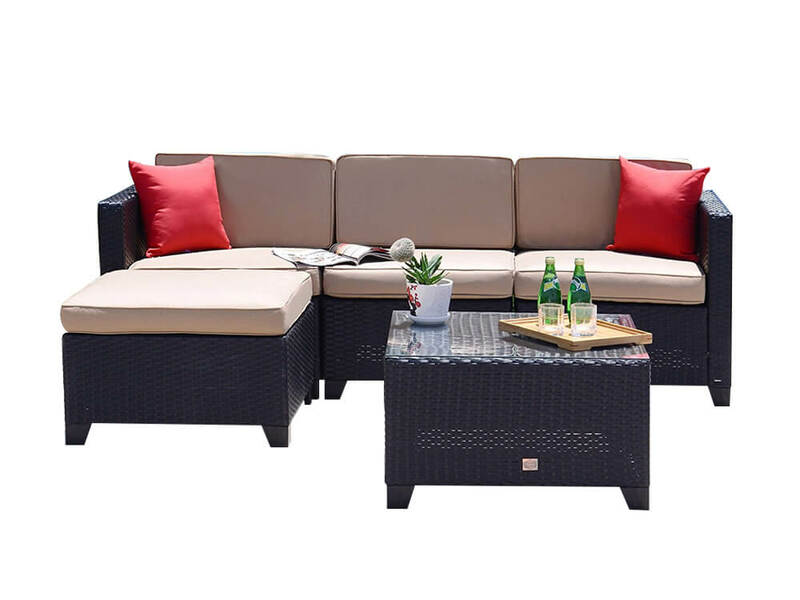 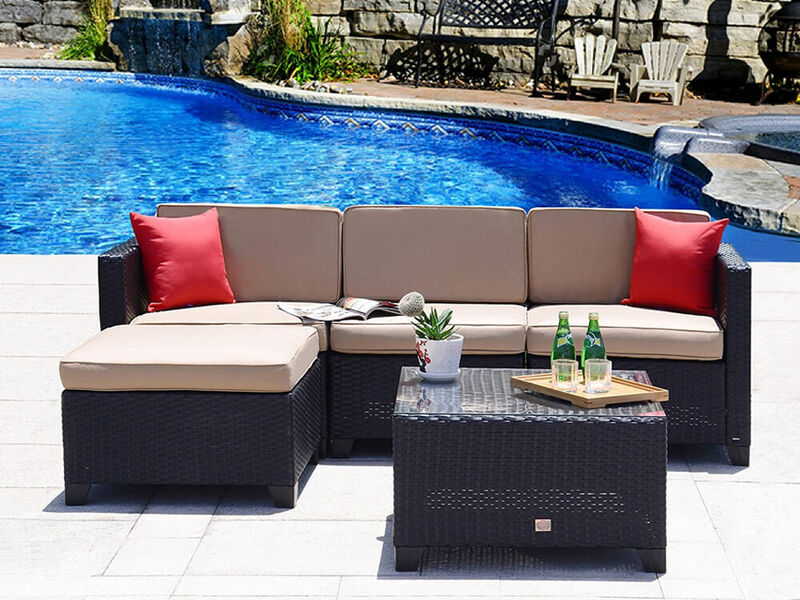 This 5 piece Outdoor Sofa is perfect for anyone wanting to enjoy the outdoors in a comfortable setting for social gatherings. 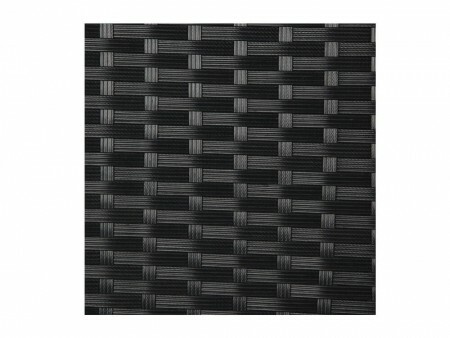 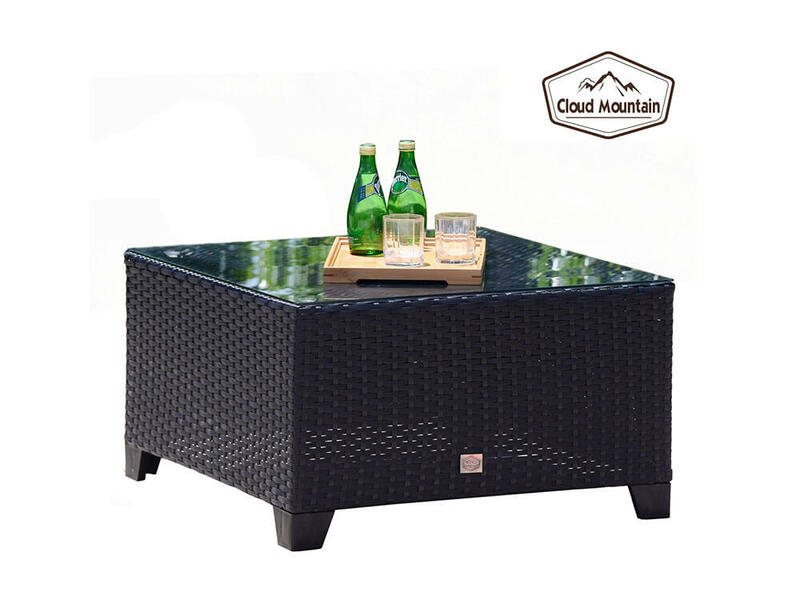 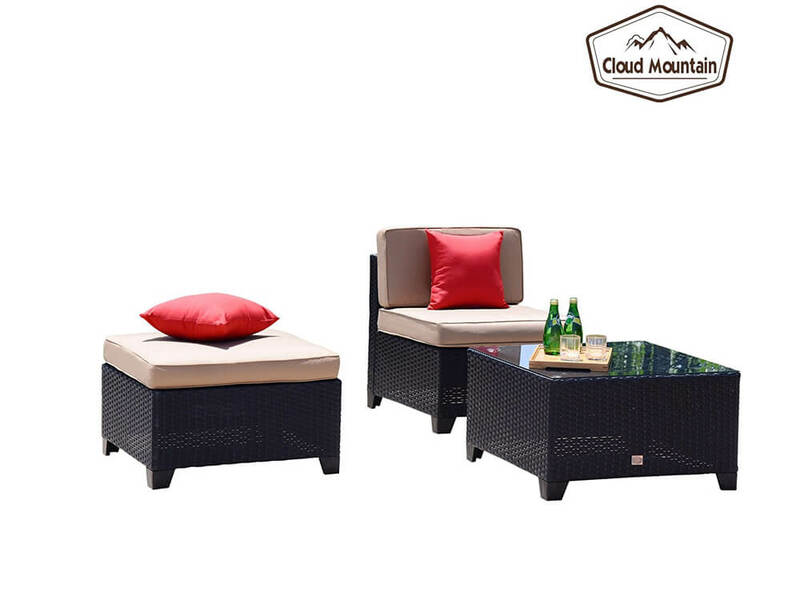 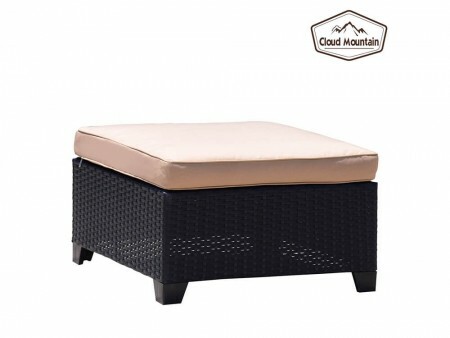 Made of durable steel frames, covered by PE rattan hand woven materials, UV resistant, easily washable and non slip pads. It includes a detachable sectional with washable cushions and an ottoman table with a tempered glass top. 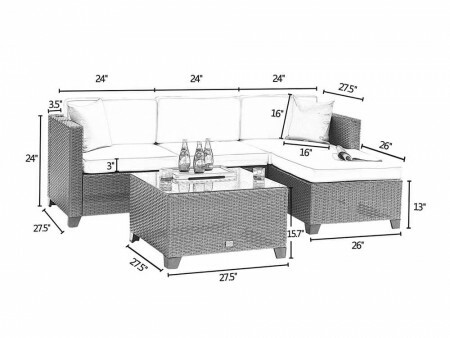 Inhabitr also carries additional pieces to match this outdoor set for a more complete outdoor arrangement. 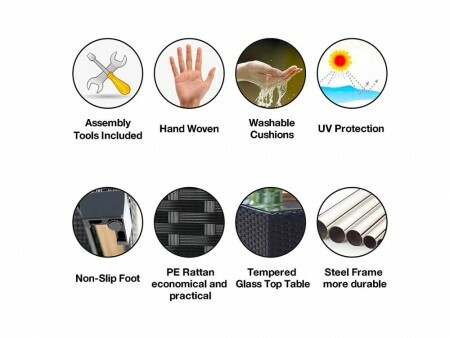 Rent today and enjoy white glove delivery from Inhabitr!